In 1894, the U.S. Congress passed the Carey Act. This law, also known as the 'Desert Lands Act' ceded federal lands to the western states, and ultimately delivered patents to federal lands into private ownership. The law's stated purpose was reclamation of desert lands in the western U.S. It provided that the states would be responsible for putting water, settlers, and farms on the Federal lands segregated from the public domain. There was no money in either the state or federal coffers for this act, in fact the original act of 1894 provided only $1000 in federal money for the entire enterprise. A few entrepreneurs of the time formed construction companies to build canal systems and entered into contracts with the states. In fact there were three separate contracts: one between the federal government and the states, one between the states and the construction companies, and one between the construction companies and the settlers or 'entrymen'. The companies would construct the canals, make maps of land to be segregated, and sell shares of the Company's water right based on segregated acres and available water. Purchasers of Company stock used the stocks to apply for patent to the segregated acreage. Once all the contracts were satisfied the whole works were turned over to the shareholders that were required by the contract to establish an operating company. 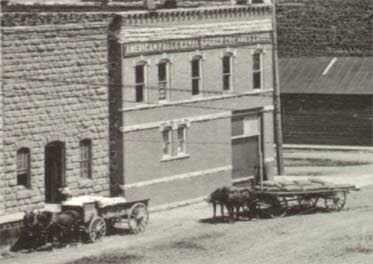 Aberdeen-Springfield Canal Company was the first such "Carey Act Company" in Idaho. 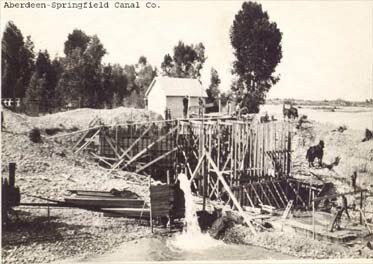 The original construction company, The American Falls Canal and Power Company, entered into a contract with the State of Idaho and began construction on what is now Aberdeen-Springfield Canal in 1901. 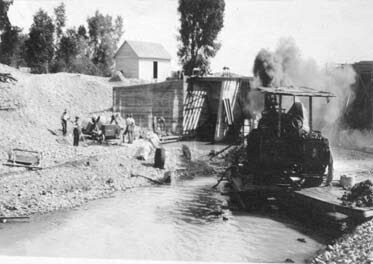 The Company was granted a natural flow water right for 1,200 cfs from the Snake River below Firth with a priority date of February 6, 1895 (the actual date construction began on the river diversion gates). The Company itself obtained patent to all of Section 33, Township 5 South, Range 31 East Boise Meridian (640 acres or 1 square mile) and subdivided the parcel into residential, commercial, farm, and industrial lots and blocks. These lots were then sold to individuals through a lottery. A lottery ticket cost $50 and guaranteed a one-way ticket to Aberdeen on the Oregon Short-line RR and a lot in the town of Aberdeen. Some of the lots were supposed to have buildings on them, e.g. a general store, a hay mill, a sugar factory, and a hotel. 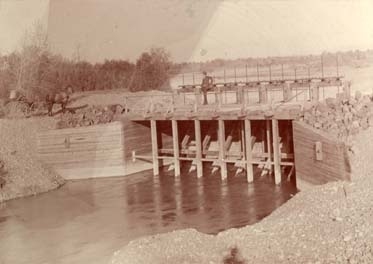 The American Falls Canal and Power Company went bankrupt in 1905 due to cost overruns and a holding company, the American Falls Canal Security Company, took over and completed the canal construction. 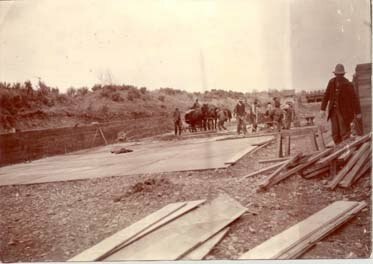 In 1910, the contract with the state was completed and the project was turned over to the Aberdeen-Springfield Canal Company. The original segregation was for 57,241.9 acres of which 50,948.16 were patented under the original Carey Act. The original estimated cost was $252,000 and the actual cost was $886,000. A total of 75,000 shares of stock were authorized and about 58,000 shares sold for $40 per share. A Board of Directors was elected and provisions made in the Articles of Incorporation and Company By-Laws to establish the operations of the company. The assessments that shareholders pay each year are collected to operate and maintain the system to bring water from the Snake River below Firth and deliver it to all the currently irrigated lands within the system. Aberdeen-Springfield Canal Company operates and maintains 190 miles of main and lateral canals and delivers water to more than 62,000 acres each year. Every year on average we divert 325,000 AF from the river, deliver about 115,000 AF, spill about 30,000 AF, and lose about 180,000 to transmission loss. © 2011 - Aberdeen Springfield Canal Co.